It was a group of thirteen people when we started from Guwahati. We all went there by train to Dimapur. After reached Dimapur, we’ve booked zonal taxi to Kohima( the capital of Nagaland). After four to five hours travel, we reached the hotel near Taxi stand. Dimapur to kohima is approx. 75 Kms, but road conditions are so in bad shape due to landslides and heavy rain. In the afternoon we went for grocery shopping and other requirements for Dzuko trek. Next morning we started around 7 AM from hotel to Viswama (Dzuko trek dropping point), only Tata Sumo, Mahindra bolero (local taxi) allowed and it was around 22 Kms. Before we start our trek we all had breakfast (Bread, butter, juice, banana, biscuits). We started our trek to around 8.30 AM. There were three to four people, who were naïve and new to the trek, hence we trekked slowly. It was raining continuously and we all wore raincoats and equipped with all gears for trek. It was slippery too, after 2 hours taut trek we’ve reached the camp(halfway) on the top, from there the base camp was around three to four hours walk, though it was continuously raining and the blustery weather were too heavy. We walked and reached the base camp at 2 PM. everyone was drenched and feeling dead cold, and was searching for fire. Without any delay our porter arranged fire wood and started to lit the fire on our dedicated kitchen, that given to us from base camp. The Dzuko valley is situated approximately at 9000 ft. altitude. The day was Saturday and whole base camp was filled with lots of trekker groups from various places. Especially there were three big groups from Manipur, two or three groups from Nagaland and from Assam as well. You can say that there were 250 People at the base camp and we were there for two nights. We all had Pasta in that afternoon and tea. After some time me and the porter prepared dinner for everyone. The temperature dropped down to 5 to 6 degree Celsius at night and the rain did not stop. We all got two blankets each person and compressed foam mattress. There is no electricity at the base camp, hence you need to carry candle or touch lamp. That is the most necessary article you need to carry to Dzuko valley. We all settled and slept on a row, there were lots of other people slept in the same dormitory as well. In the base camp there are two big dormitory and two cottages available. In every weekend there are people from different places. It’s better to go there in week days, consequently the chances are higher to get the accommodation. Otherwise it’s difficult to get accommodation and you can’t come back on the same day. The next morning we all had breakfast and started the trek to Dzuko valley from Base camp. It was only 45 Minutes trek to Dzuko valley, on the way we have seen lots of wild lilies blossoming the whole valley and mountains with other wild white and yellow flowers as well. You can see the clear sky sometimes covered with clouds and rain and wind. 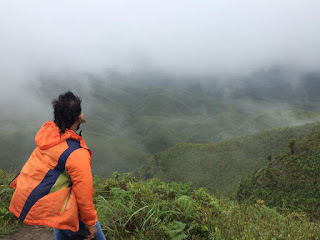 There is a rivulet drifts between the mountains and the valley, which the stream divides two beautiful states, one is Manipur and other is Nagaland and the treks are goes from Nagaland only. The month of June to August is the blooming time for lilies at Dzuko Valley. The beauty of that place is speechless and breathtaking, you cannot explain about it with small version of talk; its magnificence view will speak for itself. With lots of photos and memories and time spending we came back to the base camp and spent the whole day talking about the place as group discussion. The best part of Dzuko valley is, that you are incoherent from outer world as long as you are there. There is no phone reception and you are actually connected within yourself, which you require time to time. Our group was so lively and energetic that we’ve played our childhood play as much as we could recall how to play. It was fun and add to that we all thought that we could stop the time and go back to our early age. After spending the best time with this group we all settled and completed two nights, then next morning after breakfast we started our trek back to Kohima. We have chosen the alternate trek while coming down. This trek known as Jakhama (a place or a village), we started at 8.20 AM; many came down in no time. Four people out of thirteen came down to pickup point at 11.10 AM (almost 3 hours). Others reached by 1.30PM with five to ten minutes early and delay (almost 5 hours). This alternate trek is totally downhill with rocky stepladder, and you have to trek approx 3000 Ft. downwards. Going upwards would be really difficult from this side to Dzuko valley. Hence we have planned the other way (Viswama village side) to go there. After accomplish the trek, we all got in the only bus which runs at 3 PM from Kohima to Guwahati. Some people have gone to Dimapur to catch their respected train to their respected homes. It was a great experience for me and I hope for every one of us who trekked to Dzuko valley. Great effort and stay fit……! Hopefully this experience that I’ve shared will help others who read it and want to come to Dzuko valley Nagaland. People can ask or get any information about the place and trek anytime. I specially thank to the group members and with anticipation looking forward to do it again in time. We will be going for Dzuko valley in coming December 2017 during Hornbill festival. Things to carry for Dzuko Valley. Carry your trek gears while you are there, trek shoe especially in Rainy season. Please pack your clothes with plastic covers so that it won’t get wet due to drizzling. Carry torch lamp and try not to carry unwanted heavy load. 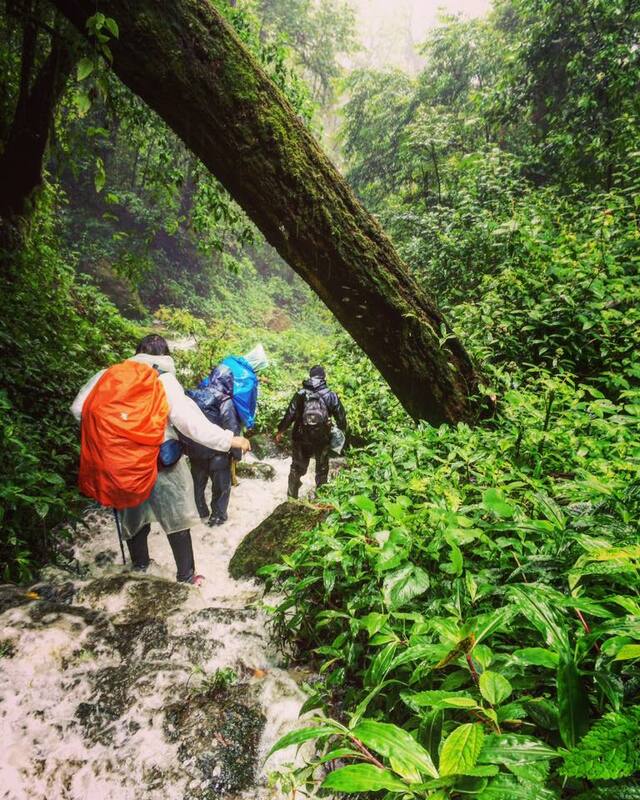 Please carry slippers or sandal, because your shoe will get wet during the trek. In the month of November till January, it will be better if you carry sleeping bag due to cold. In the base camp you will get only light blankets.